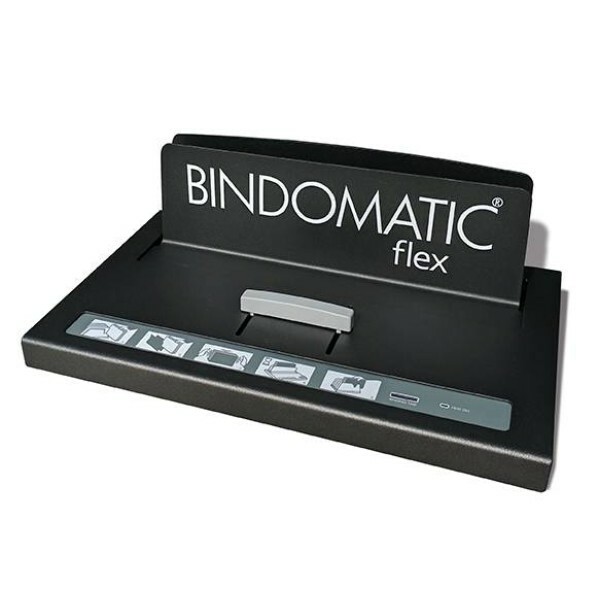 Bindomatic offer a range of innovative high speed thermal bind solutions aimed at the corporate and copy shop markets. The latest machines with drop and go technology allow you to bind up to 240 times faster than traditional binding methods. 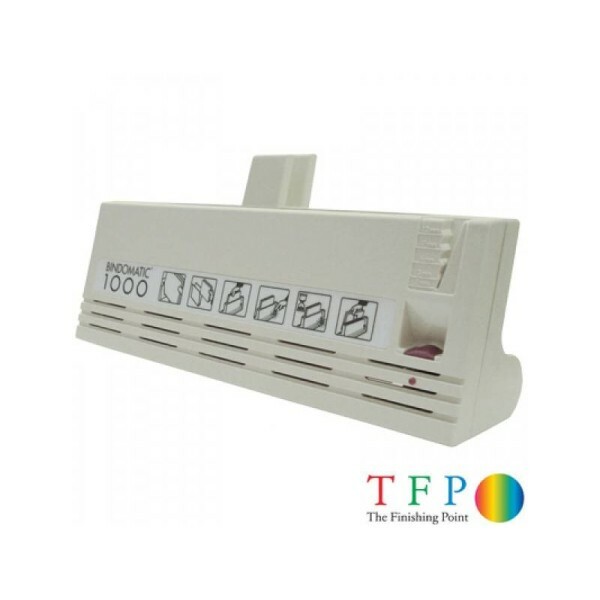 The Finishing Point supply a range of thermal binding machines manufactured by industry leader Bindomatic. They are committed to providing businesses and organisations with the right tools to create professionally bound documents in-house. Since their beginnings back in 1974, Bindomatic have been providing customers with technically advanced thermal binding equipment and binding systems to create print-shop quality bound documents quickly and easily. With their competent research and development team, Bindomatic have created patented thermal binding products and processes. 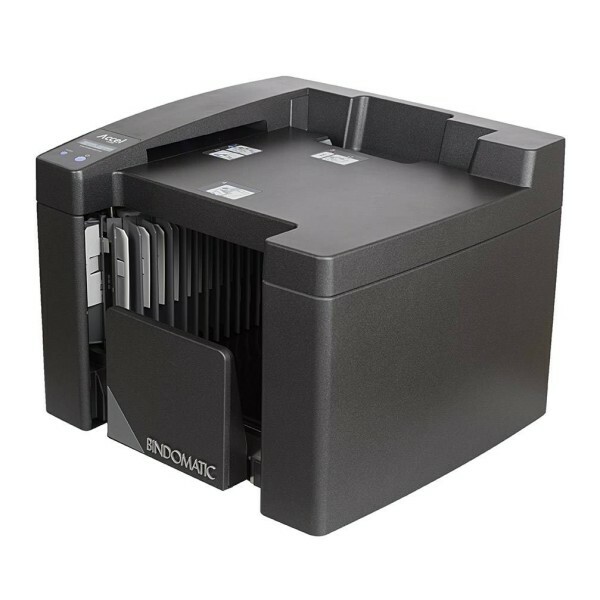 For low or personal usage, the Bindomatic 1000 is the perfect choice of thermal binding machine - small and manually operated, it is designed mainly for those using it on a personal basis or using it infrequently in the office. However, its results are to the same professional standard as the more advanced thermal binding solutions, and it will even fit on your desk! The next step up is the Bindomatic Accel Flex; a powerful, manually operated thermal binder designed to meet any document format demand, with spine lengths of up to 370mm. The Bindomatic Accel Flex can bind documents as thick as 54mm (roughly 370 sheets of 80gsm) as well as soft covers and hard covers. When launched, the Bindomatic Accel Cube was the world’s first automated thermal binding machine, and today it is still the undisputed champion of its class. It’s user friendly, and no operator is required to oversee the thermal binding machine, so you can continue working alongside it. Finally, the Bindomatic Accel Ultra sets a completely new market standard for document thermal binding. The capacity to process and bind a document every two seconds is astonishing, but what truly sets it apart from all others is its superior efficiency. 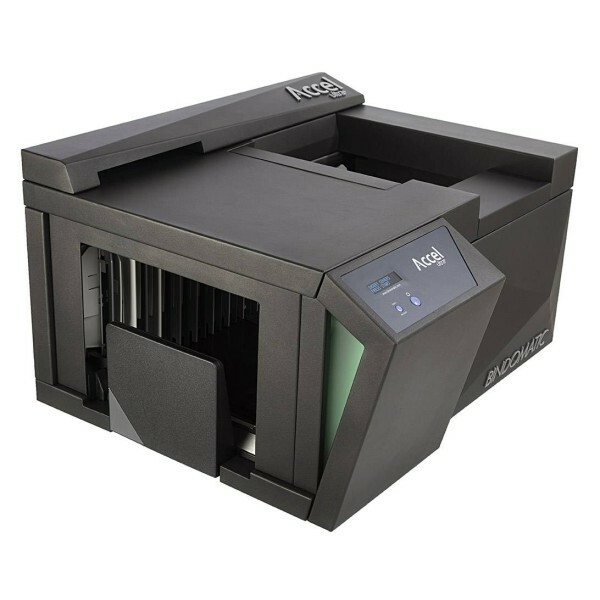 Up to 60 documents can be loaded in to the machine at one time, freeing you up to work while simultaneously binding your documents.